Manually annotating large scale content such as Internet videos is an expensive and consuming process. Furthermore, community-provided tags lack consistency and present numerous irregularities. 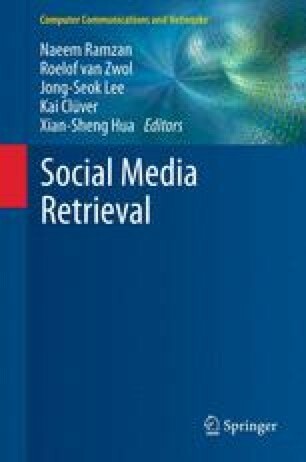 This chapter aims to provide a forum for the state-of-the-art research in this emerging field, with particular focus on mechanisms capable of exploiting the full range of information available online to predict user tags automatically. The exploited information covers both semantic metadata including complementary information in external resources and embedded low-level features within the multimedia content. Furthermore, this chapter presents a framework for predicting general tags from the associated textual metadata and visual features. The goal of this framework is to simplify and improve the process of tagging online videos, which are unbounded to any particular domain. In this framework, the first step is to extract named entities exploiting complementary textual resources such as Wikipedia and WordNet. To facilitate the extraction of semantically meaningful tags from a largely unstructured textual corpus, this framework employs GATE natural language processing tools. Extending the functionalities of the built-in GATE named entities, the framework also integrates a bag-of-articles algorithm for effectively extracting relevant articles from the Wikipedia articles. Experiments were conducted for validation of the framework against MediaEval 2010 Wild Wild Web dataset for the tagging task.